Tips to find the most searched article keywords - Tips to find Keywords to create a post on the Blog that much sought. Hello good morning buddy Blogger all, back again on this day I will share about How to see article writing on the internet the most widely in a search by using several ways. This article was created because many are asking me and there is a request for how to find the right keywords with Keyword Research. I started blogging until now to make writing never use a certain tool like other bloggers. Friends can see in my article the following: Tips to get the IDE to write on BLOG / WEB in order to make ARTICLES every day. All the writing ideas I get from daily life activities ranging from Personal Skill, Daily Activities to activities in Mesos and the Internet. I am currently trying to better find keywords in google the most searched. Sometimes if we already get the keyword by using a particular tool the feeling of lazy writing that appears because we do not master the material to be written. In contrast to Personal Experience writing, a companion will write smoothly to reach thousands of words and not feel heavy when making it. I will not abandon my habit of getting the keywords from my day-to-day activities because that way that delivers this blog can compete google marker. Using a certain Tool to find the right keywords I use when the mind is deadlocked and not get the idea to write. Make friends who feel confined to write what today can try it. Google actually has made it easy for friends to get certain keywords that can be used to create an article. In the google or Google Search search box when a friend searches for an article by writing certain keywords it will show some of the most widely searched words. See the topmost words that are the most popular keywords. Many people use Google Trends to create an article. If you see certain days in Google Trends Indonesia then the article or information that many viewed is the writing that many in the search on the previous day. Making articles by taking into Google Trends is quite difficult because we will compete with news blogs that famous level is no doubt. In addition, friends can also use Google Trends Explorer to select certain keywords and find other keywords most searched. You just specify the Language or Country, Time, Type or category. That way the articles you create find the right target to the users of Google search engine. To get the keyword and the amount of search volume we are given for Free but for others, it seems to have to pay. For those of you who do not have the capital than just use a free course and this is more than enough because you can get certain keywords that have high search frequency. This tool is widely used by the Blog Writers because this is one of Google's facilities. If you look at some articles made on how to use Google AdWords Keyword Planner can still be used for Free then it is an old article. Currently, to use it you need to create an ad in AdWords first can use the Tool. The use of AdWords Keyword Planner tool is best because many an expert uses this tool including Max Manroe bang. Not applicable for those of you who do not have income in Google Adsense because they have to pay first before using it. You can use Google Search, Google Trends, and WordStream first. To get the most searched keywords you can also see the Popular Post of a particular site. If you look at news sites then look popular articles are the latest news. That can not be a benchmark because news sites are usually the source of visitors coming from Social Media as well. 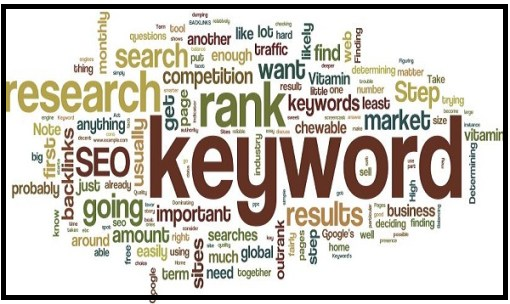 If you are looking for a specific keyword then you can visit a niche site in accordance with the keywords that you will make. One example of Health article then you can see the Popular Post on the Health website but sometimes there are sites that do not display the Popular Post like blog marahmerah.com. From 5 ways to find the most searched keywords above which one is the easiest to use. Please use well to find the popular keywords but my advice still makes the article you mastered. If you already have a written idea then the tool above is just your facility to create an article title.